DUI Accidents In California: What Are Your Rights As A DUI Victim? On behalf of admin of JML Law, A Professional Law Corporation posted in Car Accident on Thursday, May 17 2018. Although hundreds of car accidents occur in Los Angeles and all across California every day, we never seem to be prepared for car crashes when they happen to us. DUI accidents, aka drunk driving, are one of the most devastating accidents, as they usually involve at least one car traveling at an unreasonably high speed, running red lights, reckless driving, swerving, and many other maneuvers of impaired drivers that can cause catastrophic injuries or even fatalities to other drivers and pedestrians. Fact: roughly 10,000 Americans die every year as a result of DUI accidents. In hundreds of thousands of other drunk driving accidents, even when there are no fatalities involved, victims are left severely injured or disabled for the rest of their lives. Here at the JML Law, our best car accident attorneys in Los Angeles receive at least dozens of phone calls from victims of DUI accidents every week, asking all kinds of questions. More often than not, it seems that DUI victims have no idea what their rights are. That is why we invited our Los Angeles car accident attorney to outline what your basic legal rights as a DUI victim are. Hint: it extends far beyond the right to seek compensation for your injuries, damages, and losses. 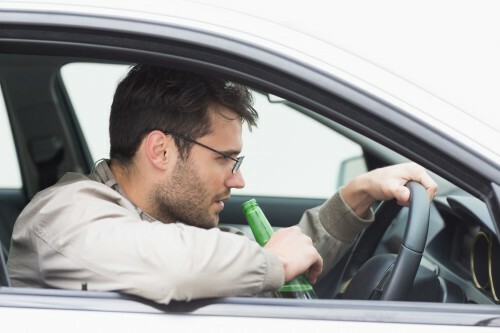 What are your rights as a DUI victim? In Los Angeles and all across California, victims of DUI accidents have a wide range of rights that must be respected by their own insurance company, primary treating physician, the at-fault driver, his/her insurer, lawyers, and other parties involved in the legal process. Victims of car accidents have the right to seek and obtain financial compensation. You may be entitled to seek compensation even if the at-fault party was not insured at the time of the accident. If that is the case, consult with our Los Angeles car accident attorney at the JML Law. Call our offices at 818-610-8800 or send us an email to get a free consultation.